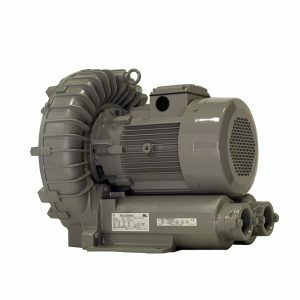 Fuji Electric ring compressors, blowers, and vacuum pumps are used in many different applications in all phases of industry. They may be used for pressure, vacuum, or a combination of both. 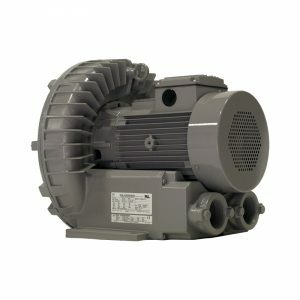 Units are powered by 1/20 to 20HP TEFC motors and provide up to 570 CFM flow, with pressure ranges from 0.5 to 4.5 psig and vacuum ranges from 10 to 110 inches H2O. 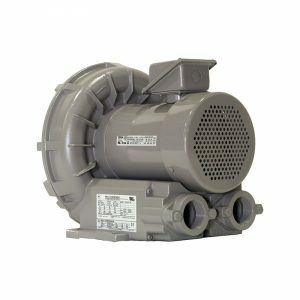 Features include: compact design; oil-free, non-pulsating flow; threaded flanges; 50/60Hz motors standard; UL, CSA, and CE certification. All are in stock and ready for shipment. Models listed below are available online. Please call us at (727) 535-3200 or email: sales@penningtonassociates.com for information on our entire product line. See our Accessories section at the left for filters, filter assemblies, elements, silencers, and relief valves. NOTE: Maximum allowable time at deadhead is 120 seconds. A relief valve is recommended to protect the blower from overheating. 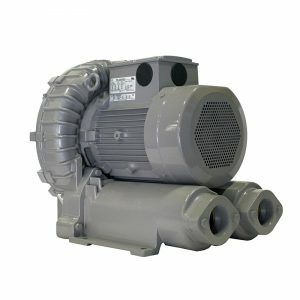 Both pressure and vacuum models are available. Click here to order. 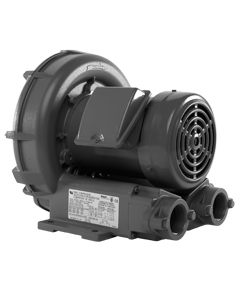 The VFZ801A-7W is a single-stage 10.7 HP ring compressor with a maximum pressure of 115 in. H2O, maximum vacuum of 108 in. H2O, and a maximum capacity of 379 SCFM. The VFZ901A-7W is a 14.7 HP single-stage ring compressor with a maximum pressure of 100 in. H2O, maximum vacuum of 85 in. H2O, and a maximum capacity of 574 SCFM.